There is no doubt that education plays a great role in shaping your future and the future of others. Because of this, finishing your undergraduate degrees and masters programs is essential to honing who you are and what you will become. With numerous expenses incurred over time, asking help from reliable lenders can come in handy. Enter College Ave Student Loans. Through this initiative, you can pay your tuition fees and other expenses. Check out what this plan has to offer. 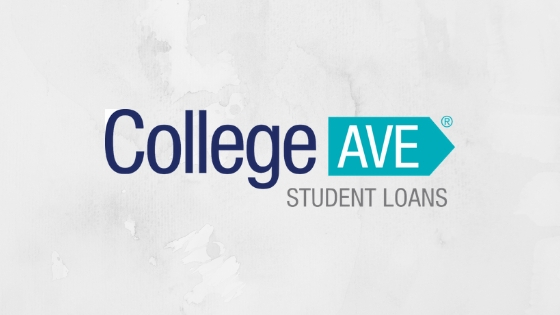 College Ave promises you a better student loan experience. For one, they make sure that they provide you with a College Ave Online Student Loan that’s specifically designed for you. With this feature, you can finally create a student loan that fits your goals and your budget at the same time. Whether you are a parent that’s looking for a loan for their child’s education or an undergraduate or graduate student, there’s a student loan you can rely on. Another advantage you’re sure to appreciate is the ability to have a smooth and straightforward transaction. Since your time is valuable, know that applying for this student loan is easy as pie. Simply apply from any device and you can fill out the application form easily. You can even find out if your loan’s approved online! Even better, you will be getting honest, transparent, and trustworthy service each and every time. From the get-go, you will have a clear grasp of what you are getting, how your plan works, how you can save money as you go, and everything else in between. By laying out all the cards right away, you can get a hassle-free transaction every single time. Requesting your own College Ave Online Student Loan is simple. All you need to do is head onto their website and fill out the online application form. In as little as 3 minutes, you can finish your submission and receive a decision. To apply, you need to provide your basic student information such as your name, contact number, permanent address, Social Security number, and your total annual income. You also need to provide the year your school loan will help cover, your school state, estimated date of graduation, and your desired loan period. Should your application be approved, you will be given a minimum of $1,000 loan. For this type of student loan, you’ll be happy to know that you can get interest rates to suit your needs. For the variable rates, you will be given anywhere from 3.94% to 11.19% APR. For the fixed rates, you will be given anywhere from 5.29% to 12.78% APR. Depending on your plan, you can choose from an interest-only payment, a flat payment where you need to pay $25 each month or choose from a variety of other options. The term lengths for payments can range from 5, 8, 10, or 15 years. A College Ave Online Student Loan is your best choice when it comes to paying for your tuition fees. With transparent rates and flexible payment options, you know you are getting a good deal. Apply now! SoFi Online Personal Loan – How to Apply?